The Hawk Hill 1 is the reason we love Marin. 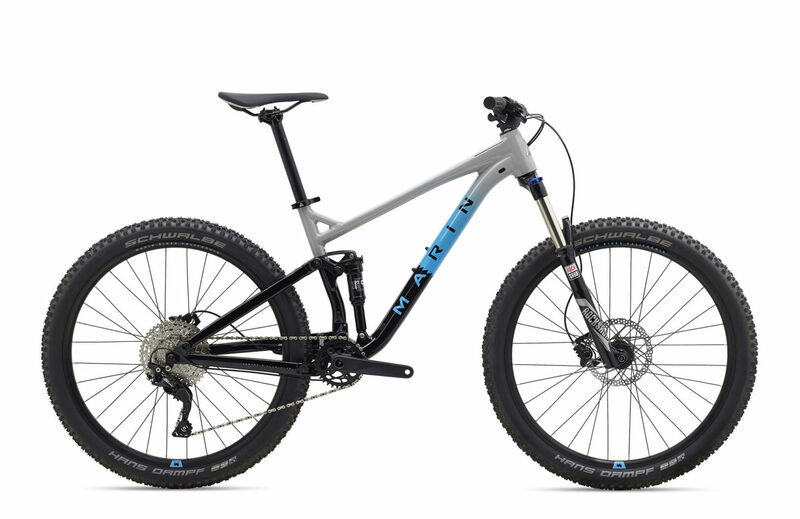 There is no reason an “entry level” mountain bike should skimp on the suspension design or geometry, yet so many bikes do. Not Marin. 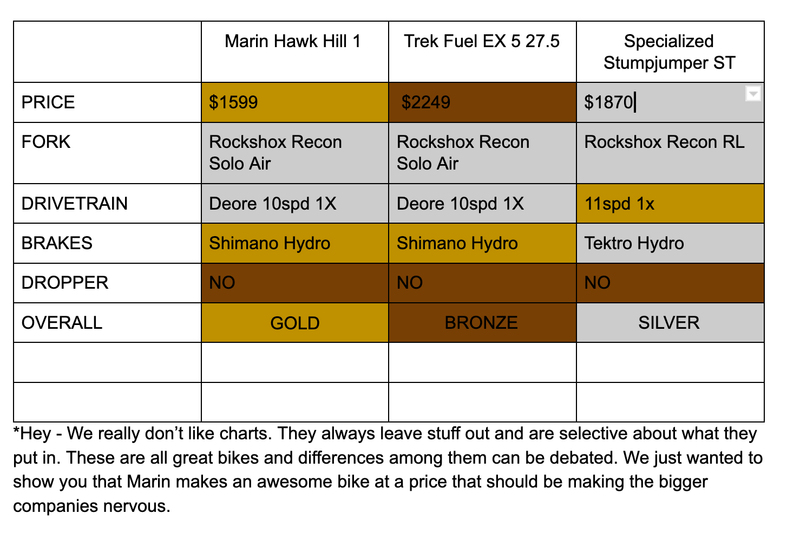 With it’s short stem and relaxed geometry, the Hawk Hill handles trails as well as a boutique superbike, but uses a modest component spec to maintain an “entry level” price. If you’re not so modest, the Hawk Hill 2 and Hawk Hill 3 offer the same proven suspension system and geometry with upgraded specifications. Under the radar: Are you an aggressive rider? Drop in the included Rockshox bottomless tokens to change the air-spring curve and prevent bottoming out on those big hits. *Charts are a snapshot in time and specifications are subject to change!